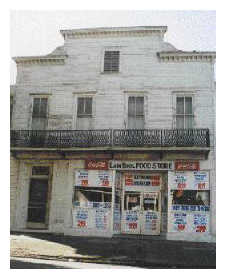 Augusta’s architecture is diverse, and includes interesting gems such as this store on D’Antignac Street in the Laney-Walker Historic District. Railroads played a vitally important role in Augusta’s 19th and 20th Century commerce and industry. This depot on Reynolds Street served the South Carolina Railroad Company. The Broad Street Historic District is the focus of the Main Street Augusta project, a joint venture of Augusta-Richmond County and Historic Augusta, Inc. The Laney-Walker Historic District is filled with architectural treasures associated with Augusta’s various ethnic and minority communities. The Ezekiel Harris House, Circa 1797, is a reminder of the days when tobacco was the primary cash crop in Georgia.